Need a Christmas apron? 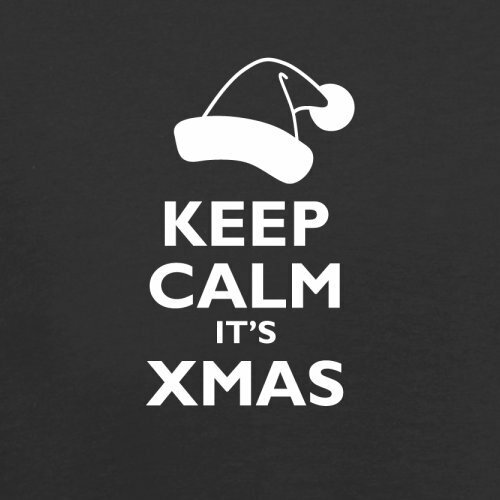 We’ve got loads in store! 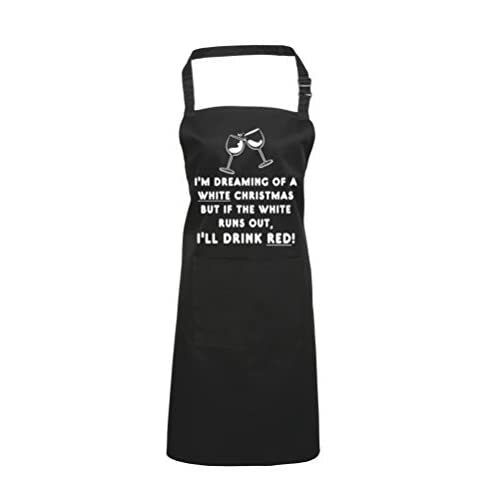 Within our range we have Christmas aprons for men that make a perfect gift for the man who loves to be in the kitchen. We’ve also got lots of funny novelty Christmas aprons that are sure to amuse and delight as well as beautiful patterned Christmas aprons for women. And lets not forget about the childrens Christmas aprons! 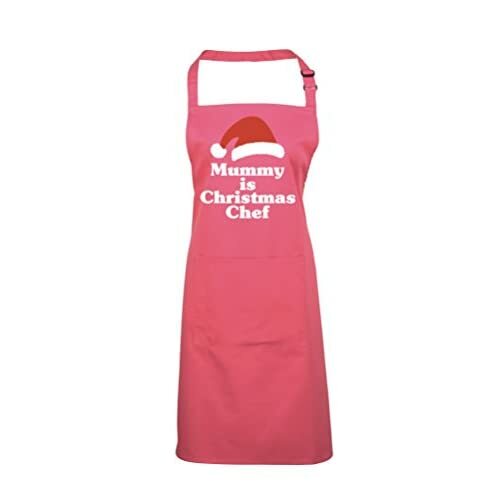 There are loads of great value kids gift sets that make awesome stocking fillers. 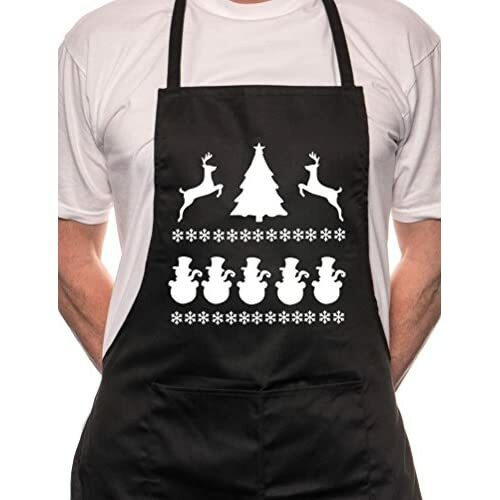 Wonderful fun Christmas Apron featuring the Skating Santa print designed by Rachel Ellen Designs. 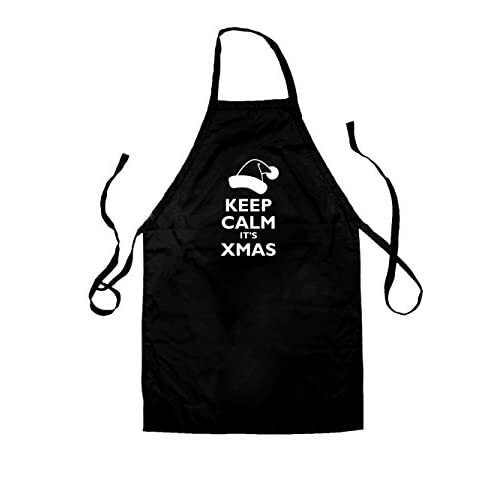 This is a classic style apron with a lovely Christmas print. 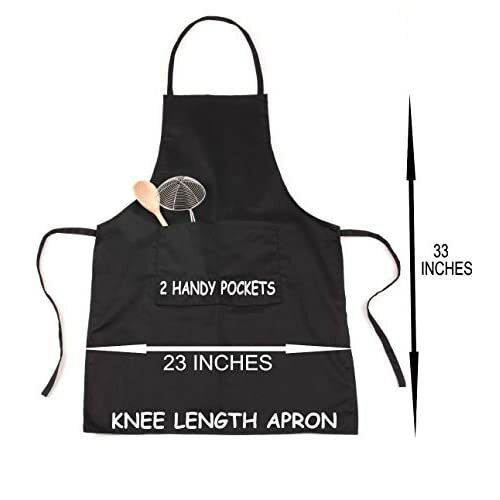 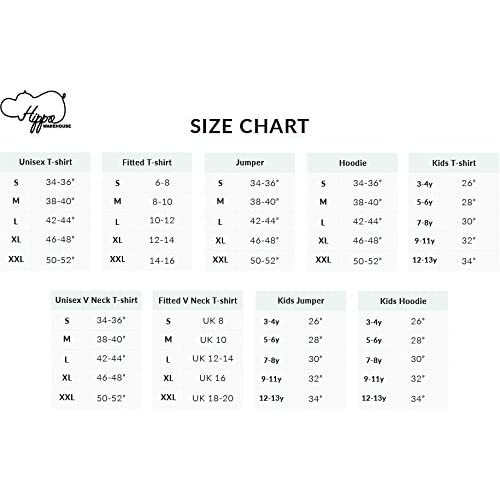 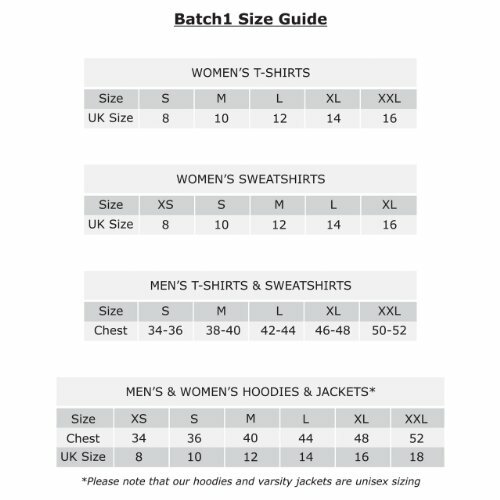 One size suitable for men and women. 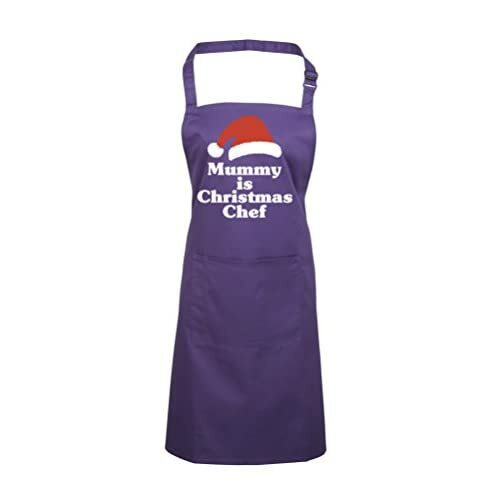 It also has a large pocket to the front as well as neck and side ties to fit you perfectly. 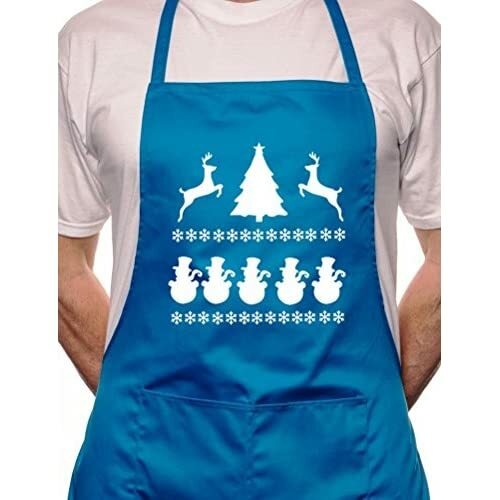 Also available in Ice Blue. 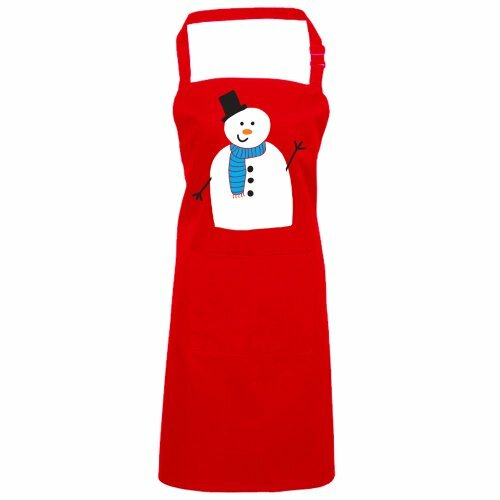 Lots more items in the Skating Santa range including children’s aprons, table cloths, tea towels & oven gloves. 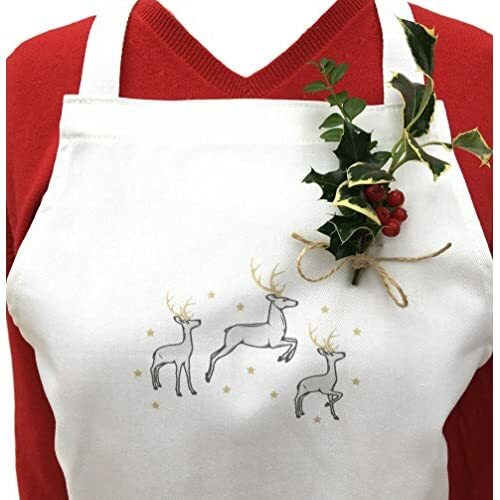 Great value Christmas Reindeer Apron by Cooksmart! 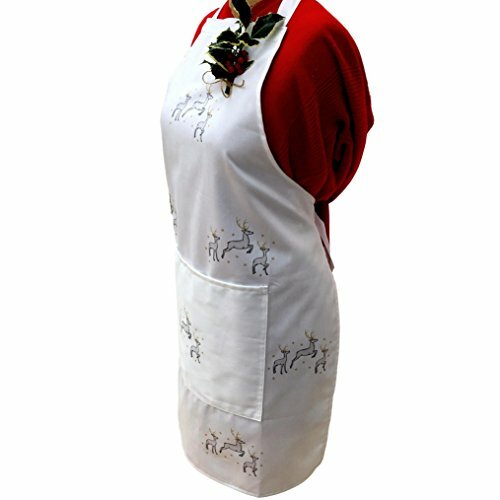 This lovely reindeer apron is made from red cotton with white spots. 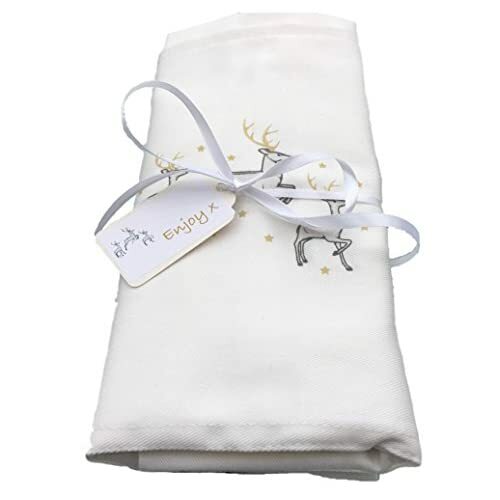 It has a useful front pocket featuring a reindeer with the slogan “Jingle those bells!” Machine washable. 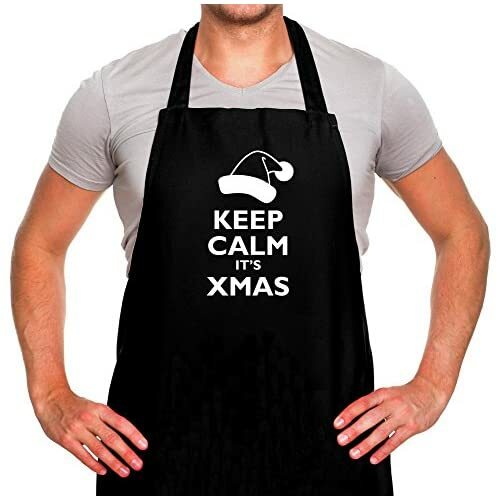 More items available in the same design including oven gloves and tea towels. Delightful Frilly Pinny Apron featuring the Skating Santa print designed by Rachel Ellen Designs. This frilly half apron comes with a lovely Christmas print, large pocket and side ties for a perfect fit. 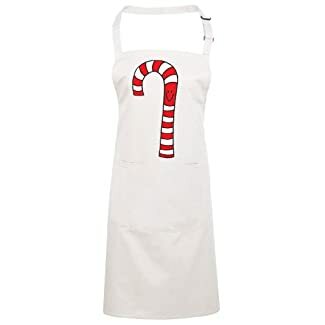 Also available in oatmeal. 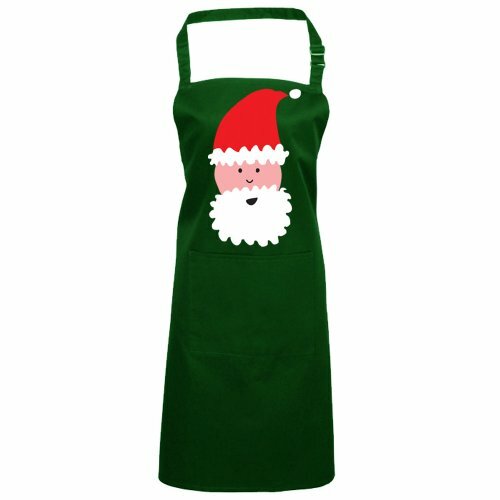 Lots more items in the Skating Santa range including matching children’s apron, table cloth, tea towel set & oven gloves. 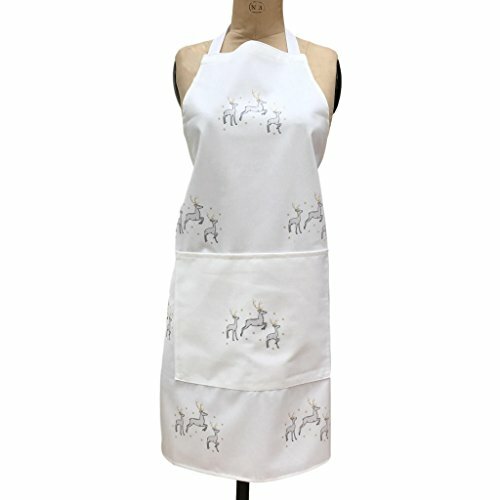 Gorgeous Nordic Reindeer Apron design by Laura's Beau. 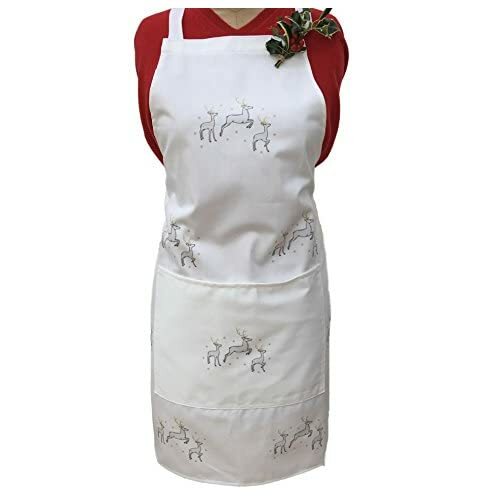 This beautiful reindeer apron has a lovely red, white & green pattern, featuring hearts, snowflakes & reindeers. 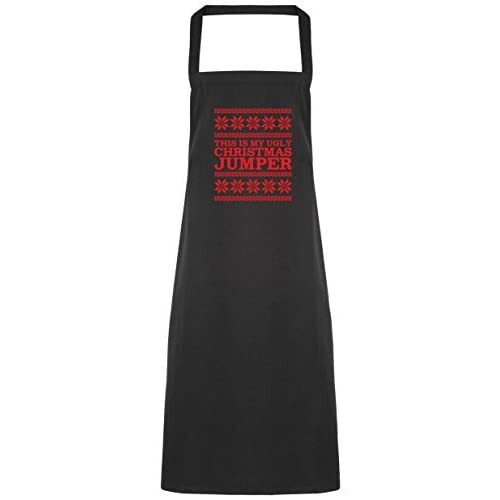 Manufactured and printed in the UK onto 100% heavy weight cotton cloth. 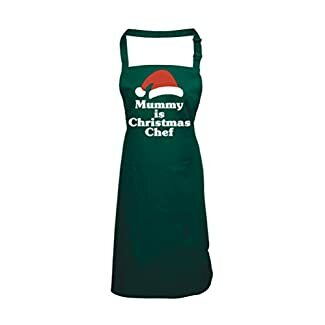 It is part of a matching set. 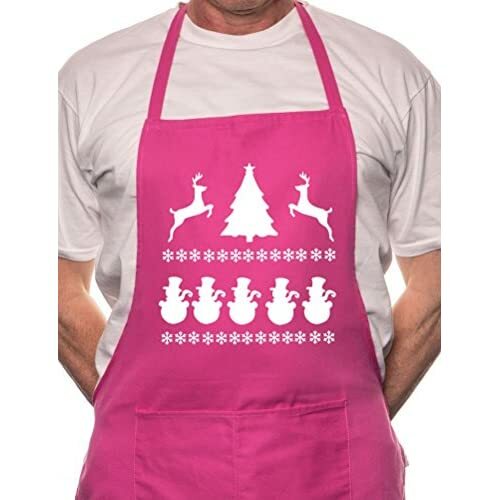 Wonderfully fun Frilly Christmas Apron featuring the Skating Santa print designed by Rachel Ellen Designs. 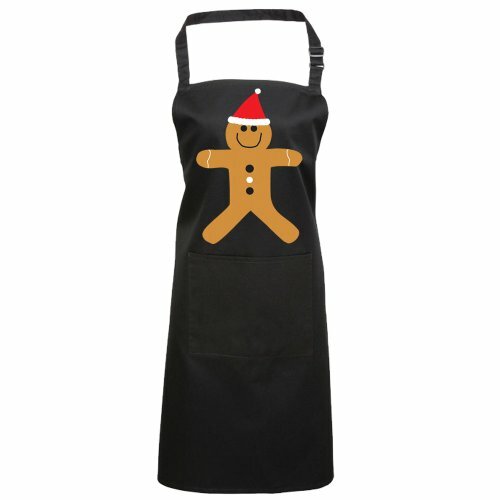 This frilly apron has a vintage style with a lovely Christmas print. It also has a large pocket to the front as well as neck and side ties to fit you perfectly. 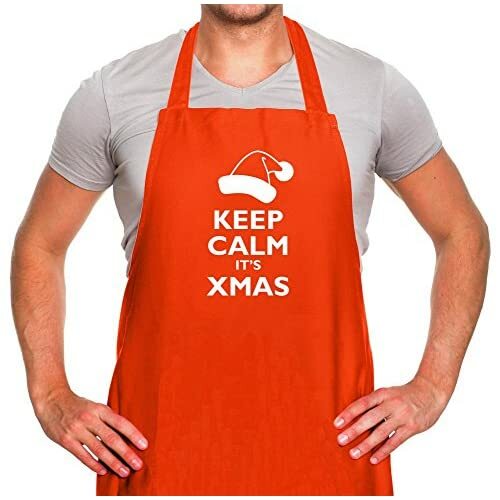 Also available in ice blue. 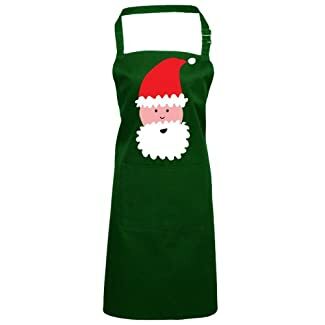 Lots more items in the Skating Santa range including matching children’s apron, table cloth, pinny apron, tea towel set & oven gloves. 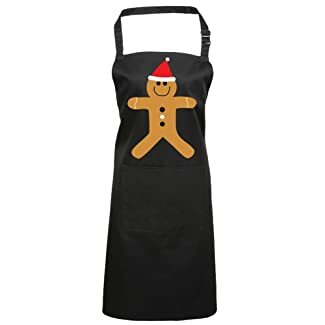 Lovely Christmas Apron and Oven Glove Gift Set featuring Me to You Bear (also known as the Tatty Teddy). 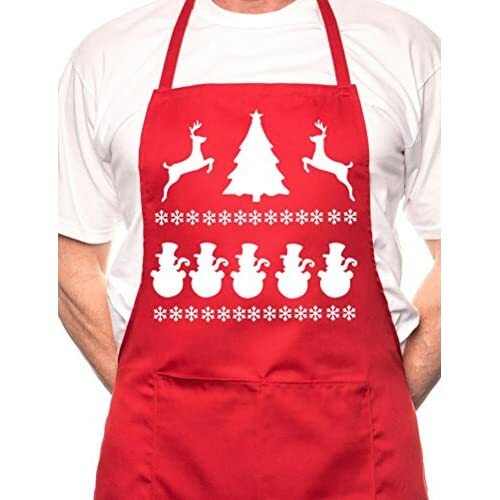 This Christmas apron and glove set has a twelve days of Christmas pattern to make a fantastic and great priced gift!